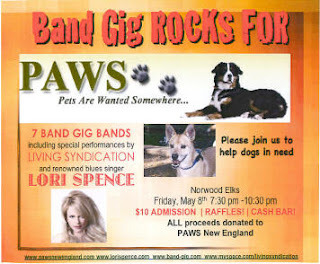 Band Gig has another charity concert tonight! Once again, I have made a donation to the cause for the raffle. 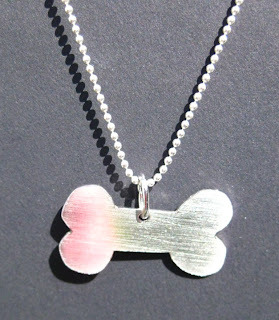 This little dogbone necklace...so cute! Doors open at 7:30pm $10 donation at the door. I am a volunteer for PAWS and fell in love with this piece. I am using it for a charm on my charm bracelet and will have my dogs names engraved on each side. Great piece!